Matthew Schneider develops data protection methodologies for real world data sources (e.g., text, customer-level data, or third party datasets) to protect consumer privacy. Importantly, his methodologies also preserve the value of a variety of business use cases. He is an Assistant Professor of Business Analytics in the Decision Sciences Department at the LeBow College of Business. Schneider’s most recent research shows firms how to maintain the value of customer data in the presence of data privacy. His work has been published in the Journal of the Royal Statistical Society, Marketing Science, the International Journal of Research in Marketing, the Journal of Consumer Psychology, the International Journal of Forecasting, and the International Conference on Data Mining. Dr. Schneider teaches Statistics for Business Analytics and Multivariate Analysis to professional masters students at the LeBow College of Business. 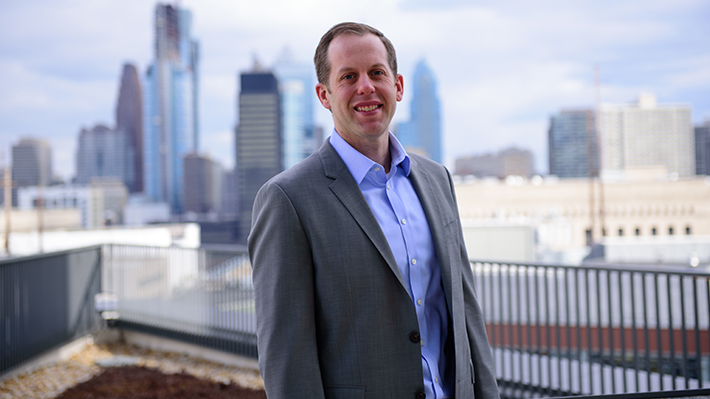 Prior to Drexel, Dr. Schneider was an Assistant Professor of Marketing at Northwestern University and a Visiting Scholar at the Samuel C. Johnson Graduate School of Management at Cornell University. He was also the Director of Research at Fort Rock Asset Management LLC, a fund of hedge funds based in Portland, Oregon. He holds a PhD and MS in Statistics from Cornell University, a MS in Public Policy and Management from Carnegie Mellon University, and a BS in Quantitative Economics from the United States Naval Academy. Before finishing his PhD, he was employed at the RAND Corporation from 2008 to 2013 and served in the U.S. Navy as an Officer of the Deck and Surface Warfare Officer on the USS Boxer from 2003 to 2005. Schneider, Matthew, Jagpal, Sharan, Gupta, Sachin, Li, Shaobo, and Yu, Yan, Protecting customer privacy when marketing with second-party data. International Journal of Research in Marketing 34 (Year 2017): 593-603. Schneider, Matthew, and Gupta, Sachin, Forecasting sales of new and existing products using consumer reviews: A random projections approach. International Journal of Forecasting 32 (Year 2016): 243-256. Schneider, Matthew, and Gorr, Wilpen, ROC-based model estimation for forecasting large changes in demand. International Journal of Forecasting 31 (Year 2015): 253-262. Schneider, Matthew, and Abowd, John, A new method for protecting interrelated time series with Bayesian prior distributions and synthetic data. Journal of the Royal Statistical Society 178 (Year 2015): 963-975. Iacobucci, Dawn, Posavac, Stephen, Kardes, Frank, and Schneider, Matthew, Toward a more nuanced understanding of the statistical properties of a median split. Journal of Consumer Psychology 25 (Year 2015): 652-665.